Celebrate your child’s healthy smile with a pediatric dental checkup and cleaning at Premier Family Dental. February is National Children’s Dental Health Month. The observance actually began as a one-day event in Cleveland, Ohio, in 1941. The month long observance we know today as National Children’s Dental Health Month was established in 1981. The purpose of the celebration is to raise awareness and focus attention upon the epidemic of childhood tooth decay, a condition that is almost always preventable. Help us recognize the importance of maintaining good dental health in childhood, and schedule a pediatric dental care appointment for your child with Dr. Cofer and Premier Family Dental today. Dr. Cofer is an experienced family dentist, now proudly serving patients of all ages throughout Waco, TX, Robinson, Lorena, and the surrounding communities. 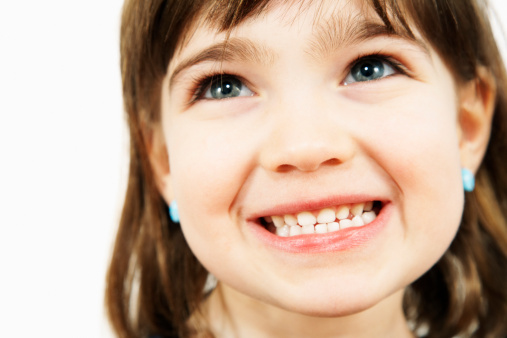 We strive to provide the preventive dental services your child needs to maintain a healthy smile. In additional to dental checkups and cleanings we can also provide tooth strengthening fluoride treatments and dental sealants. If your drinking water is not fluoridated, fluoride treatments may be needed to preserve your child’s healthy enamel. Dental sealants are thin, plastic protective barriers that can cover the chewing surfaces of the back teeth, effectively protecting your child from the ravages of early tooth decay. Choose a small, child-sized, soft-bristled toothbrush and fluoridated toothpaste for your child to use. Use a pea-sized amount of toothpaste when your child turns 3 years old. Brush your child’s teeth twice a day for at least two minutes each time. Replace your child’s toothbrush every 3 or 4 months. Start flossing your child’s teeth once a day as soon as two teeth emerge that touch. You can keep your child happy and smiling this year, and every year, with regularly scheduled dental checkups and cleanings. Schedule the pediatric dental care appointment your child needs with Dr. Cofer at Premier Family Dental today. Dr. Cofer is a highly qualified Waco family dentist, now delivering quality care daily throughout Waco, TX, Robinson, Lorena, and the neighboring cities.